Every New Year brings a season of new beginnings. It allows us a re-set button to start again. It is a time to resolve the past so that we do not bring into the New Year the energy of the past. 2018 taught us lessons that we were either willing to learn or perhaps we ignored. It was a challenging year for many teaching patience and surrender. Many ended the year feeling lost and confused, unsure of what direction to take next. 2019 promises to be very different. This is a Universal 3 year in numerology. The energy of this year is Creative, Fun and Joyful! Many of you are sighing with relief as you read this. Self-expression will be key this year. Being your authentic self and speaking your truth will enable you to change your life and the world around you. 3 is a social number so the question is “What can we create together?” We are all being called in 2019 to use our talents to create a better world around us. For some of you that means speaking out as a spiritual activist, while others might be called into the healing arts or public speaking. It could be time to write that book or start a blog. No more hiding your talents under a bushel. 3 is also the number of the holy trinity. It represents the body-mind-spirit within each of us. Staying in harmony and balance with your body-mind and spirit is important this year. 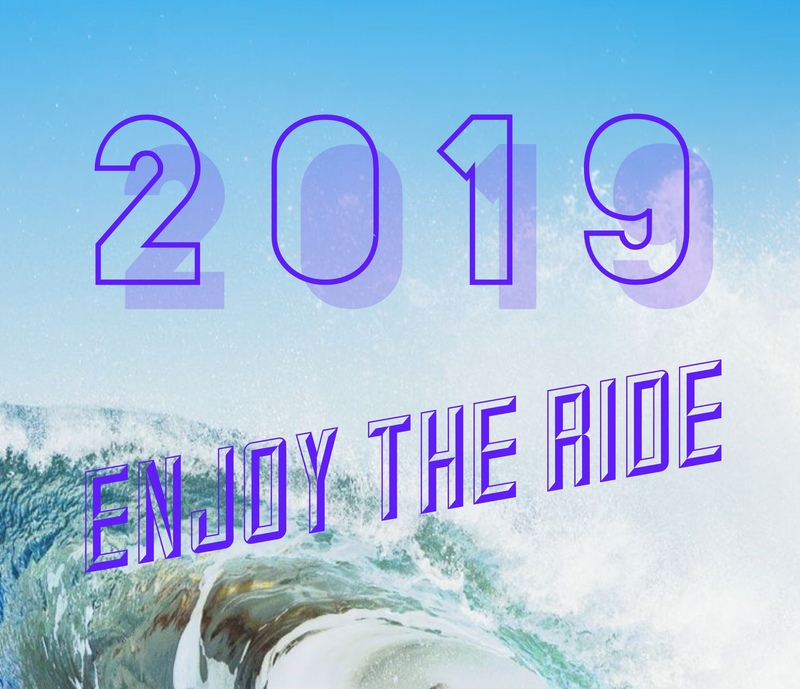 2019 offers a vortex of endless new opportunities and potentials. What feeds your spirit and makes you happy? Ultimate we are in charge of creating our own destiny through our thoughts and actions. I was explaining the energy of the New Year to my best friend comparing it to surfing. I told her that 2018 was the year we paddle out over the waves and did all of the hard work. Now it is time to relax and enjoy the ride. This year I challenge you to use your imagination to create the life you have always wanted. Remember you are an infinite being. I love the quote by Abraham Hicks ” You can’t get it wrong and you will never get it done.” So, relax and enjoy the ride!